Stained glass boxes are a great place to store little things. Jewelry, office supplies, spare change, potpourri ... imagination is your only limit! I also make lighted glass gift boxes which look amazing under the Christmas Tree. They're filled with Christmas lights and the lights and ribbon can be changed to match any decor. The stained glass candle holders scatter pretty colors along with the light from the candle flame making for a lovely ambiance in any place! 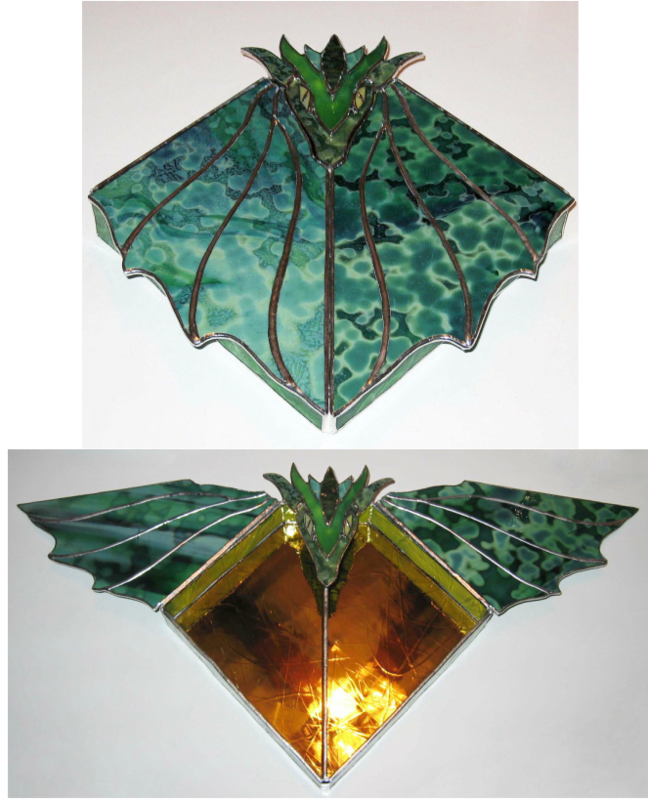 Stained Glass Dragon Box. Wings are hinged to open, revealing two compartments within.